Tailem Bend has edged closer to a place on the 2018 Supercars calendar with confirmation of event funding from the South Australian Government. Released today, the SA State Budget includes $3 million over three years for track owners the Shahin family to bring Supercars to The Bend Motorsport Park. Located 100km South East of Adelaide, construction is well underway on the $100 million Tailem Bend facility that is expected to open in January. Supercars CEO James Warburton has flagged August as a likely slot for the new circuit in next year’s calendar should final SA Tourism approval for the event be granted. Warburton welcomed today’s SA Government announcement, praising the state’s commitment to motorsport. “A second championship event in South Australia would be absolutely outstanding given the incredible story of the Adelaide 500 over the past two decades,” Warburton said. “Supercars has long supported the construction of the new facility at Tailem Bend and the Shahin family in building this new circuit for all forms of motorsport. 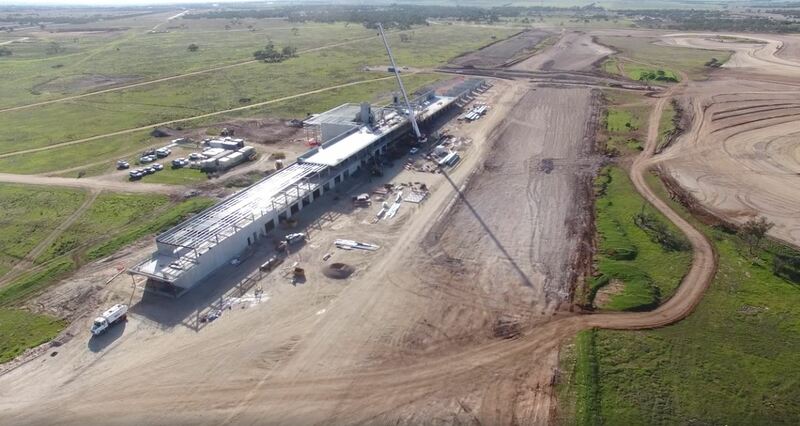 Take a look at the construction working taking place at The Bend Motorsport Park earlier this month in the below video.